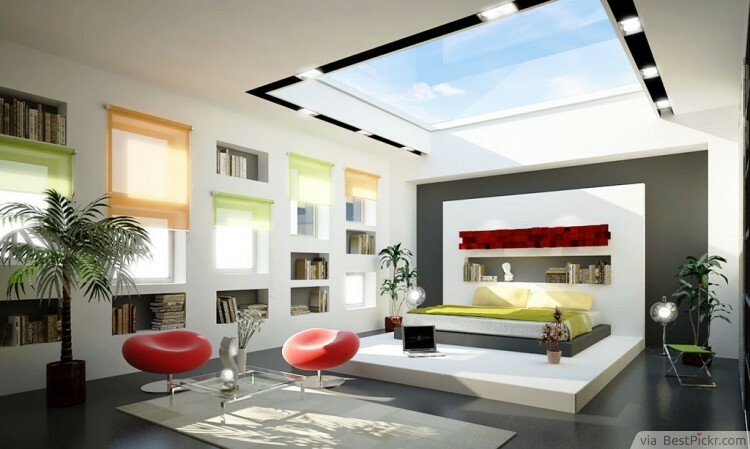 The transparent ceiling above the bed can make every waking moment spectacular as you watch the clouds pass by. And just imagine how wonderful it will be when you can count the stars before going to bed! The sleek style of shelves together with the touches of real colors make this master bedroom truly appealing.